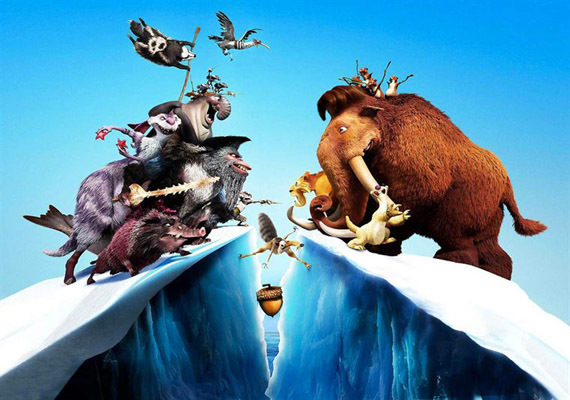 Blue Sky Studios' fourth installment of the Ice Age animation series is surely gonna have an early bang when released on Wednesday, June 20, 2012 in Barcelona during the CineEurope film distributors' trade fair. Unfortunately for us general public, we still have to wait until July 13 to be able to watchIce Age: Continental Drift. Making it the seventh feature film of the said studio, Ice Age: Continental Drift is directed by Steve Martino, to be co-directed by a returnee director, Mike Thurmeier. Since we are to wait for several more weeks, the studio has released one official clip of the movie and two promotional videos. These videos, of course, features the same folks with some additional new ones. 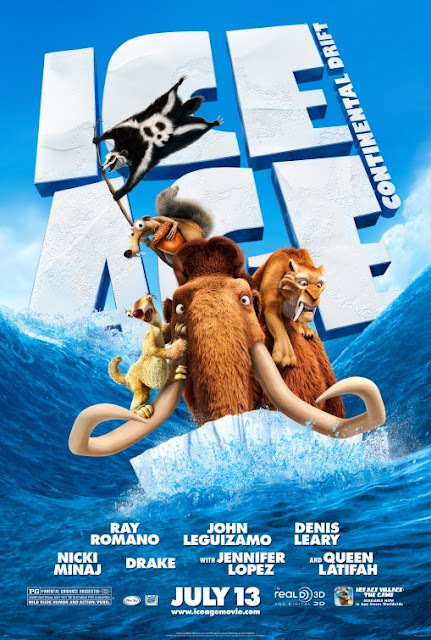 Starring the voices of Ray Romano, John Leguizamo, Denis Leary, Queen Latifah, Seann William Scott, Josh Peck, Keke Palmer, Chris Wedge, Peter Dinklage and Jennifer Lopez, Ice Age: Continental Drift will be released in Digital 3D. A short animated film titled The Longest Daycare will be featured and shown preceeding the said movie.